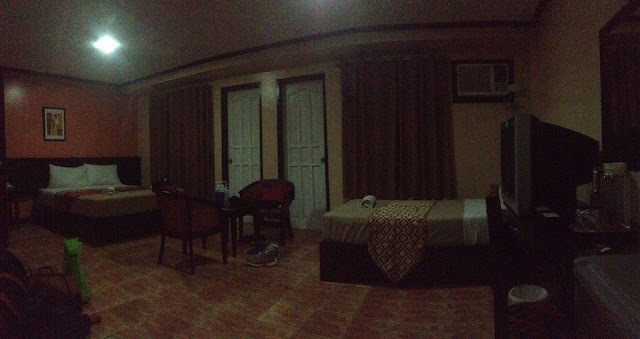 During a post-engagement leisure time on a business trip sometime in late May 2016, me and 2 of my colleagues from the Cebu Teambuilding Facilitators Network stayed for a night in Bacolod City, Negros Occidental, Philippines. We met up with a good friend who was now based in the City of Smiles because of work. When my team returned to Bacolod City from facilitating a team building program in Himamaylan City, we met up at Bongbong's by the Bacolod City Public Plaza in downtown Bacolod City. We had dinner at Diotay's Palapala. Then before we went for drinks at MO2, he checked us in at the Citi Grand Inn. Citi Grand Inn is a fairly new hotel. It opened in 2009. Citi Grand Inn is no fancy hotel. Just a simple and affordable nook to stay in a quiet part of the city. Since there were three of us, we opted for the family room. Oh, boy! It was spacious. It had the basic amenities that we needed: a working air conditioning unit, complimentary bottled water, a decent restroom, personal grooming kits, towels, a television set, a pair of twin beds, a balcony, coffee table, and a small refrigerator. There was an option for breakfast to be served between 6:30 and 10 a.m. We declined it as our friend wanted us to try the native coffee shops in the city. The cafe at Citi Grand Inn does not serve lunch. They instead reopen at 4 p.m. and closes at 8 p.m. Massage service is also available by appointment. 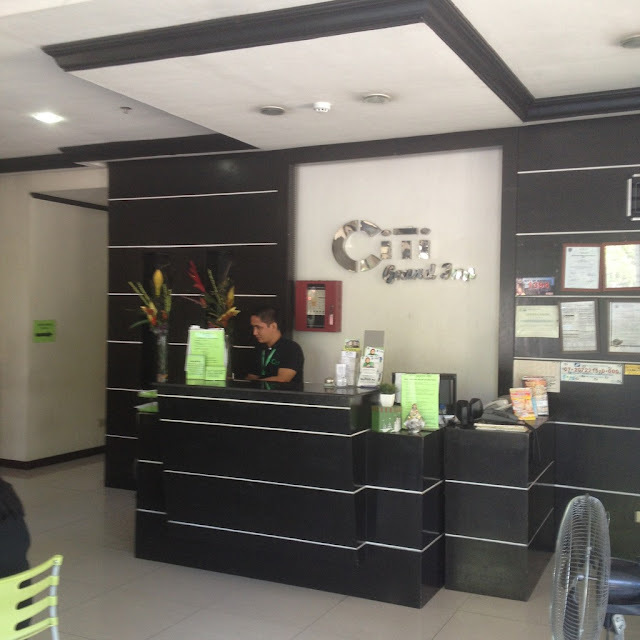 All rooms at Citi Grand Inn have wifi access, hot and cold showers, and are fully air conditioned. Citi Grand Inn also has a standby backup generator in case of a power outage. There are also 3 function rooms available at City Grand Inn. The smallest one can accommodate up to 12 persons. The bigger function room can accommodate a function of up to 60 persons. While the biggest function room located on the rooftop garden can accommodate up to 120 guests.